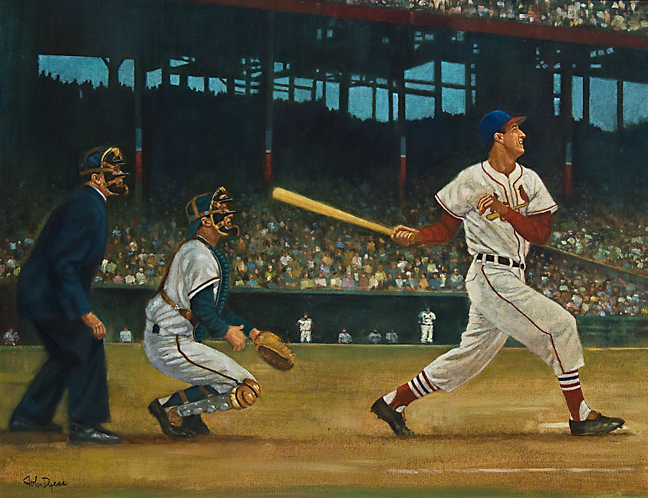 My oil on canvas painting of the St. Louis Cardinals Baseball Hall of Famers, Stan Musial and Red Schoendienst is 22″ wide by 28″ high and was painted sometime in the 1990’s. 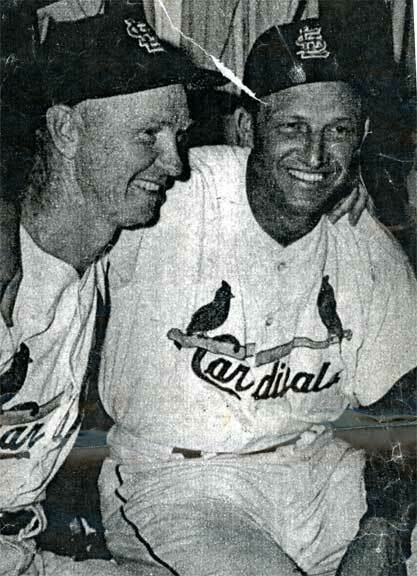 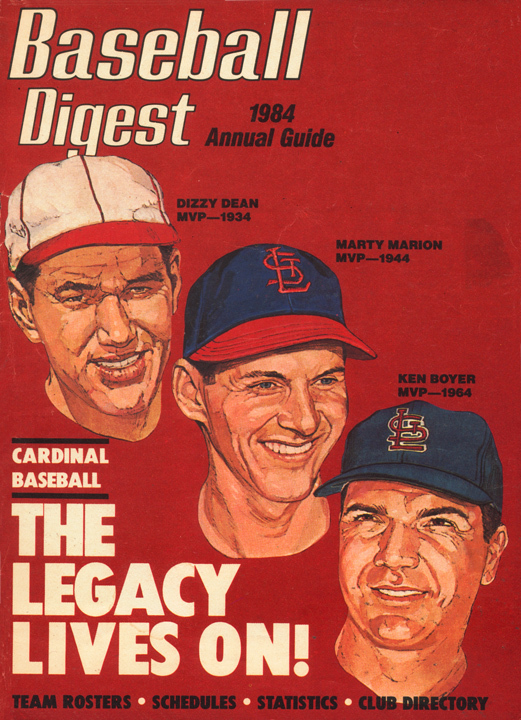 I had the pleasure of watching on television and listening on the radio, during the 1950’s, St. Louis Cardinals games ,when Stan and Red they were team mates. 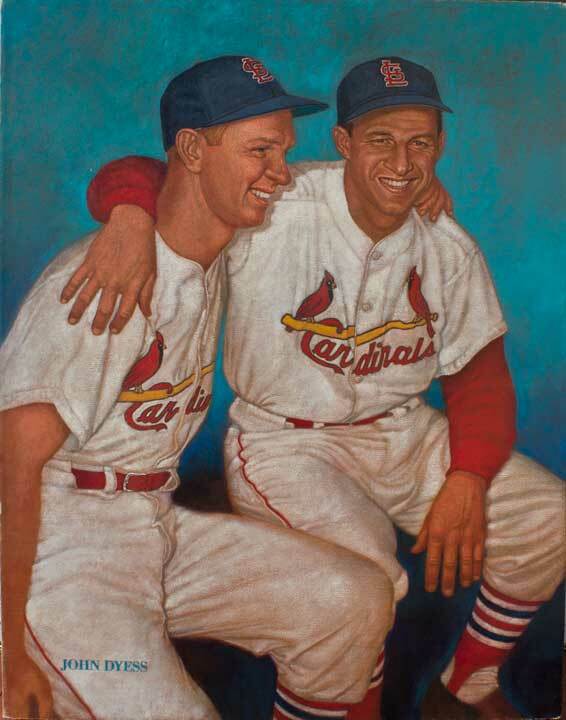 This painting is based on a small black and white photograph of Stan and Red that was reproduced in a newspaper. 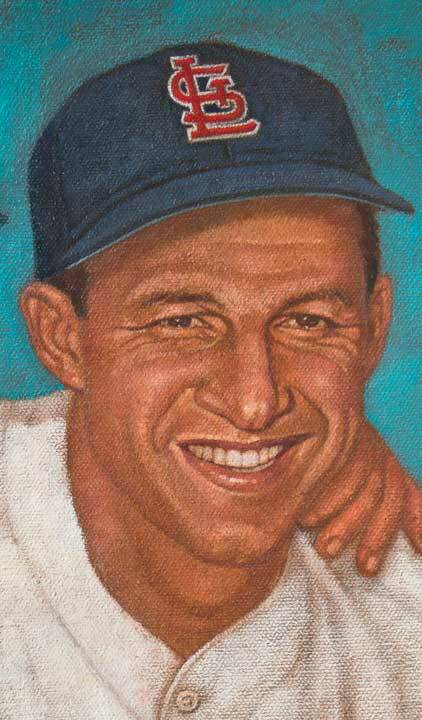 detail from my painting “Friends Stan and Red”. 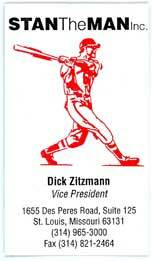 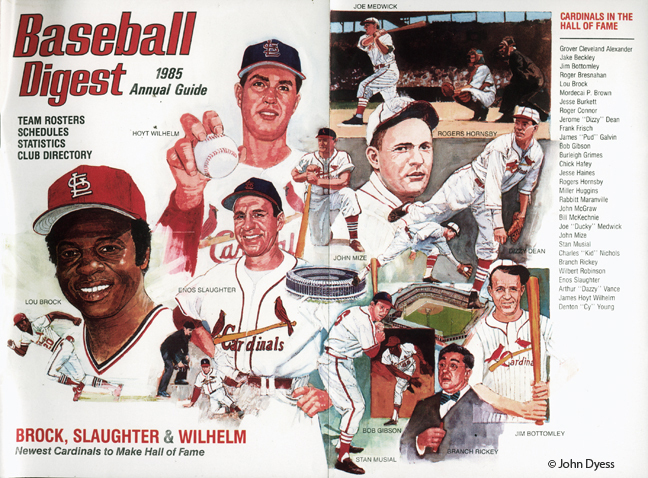 Three illustrations I created of St.Louis Cardinals Baseball Players. 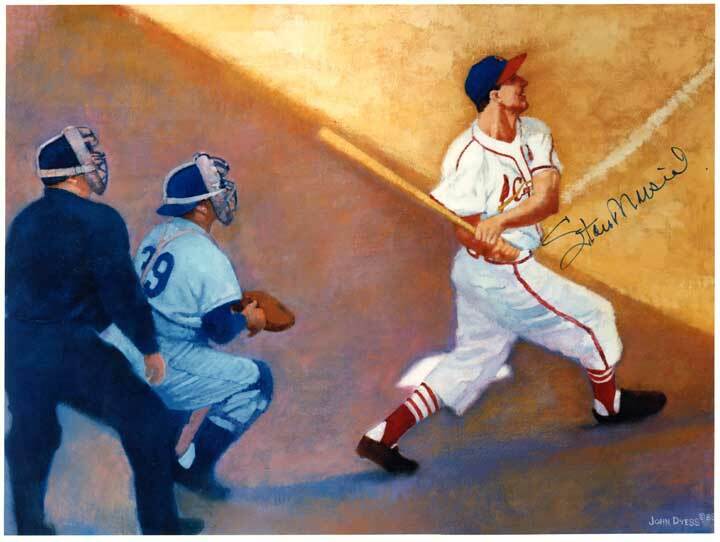 The painting of Stan hung in the St.Louis Cardinals Hall of Fame museum in the 1990’s.